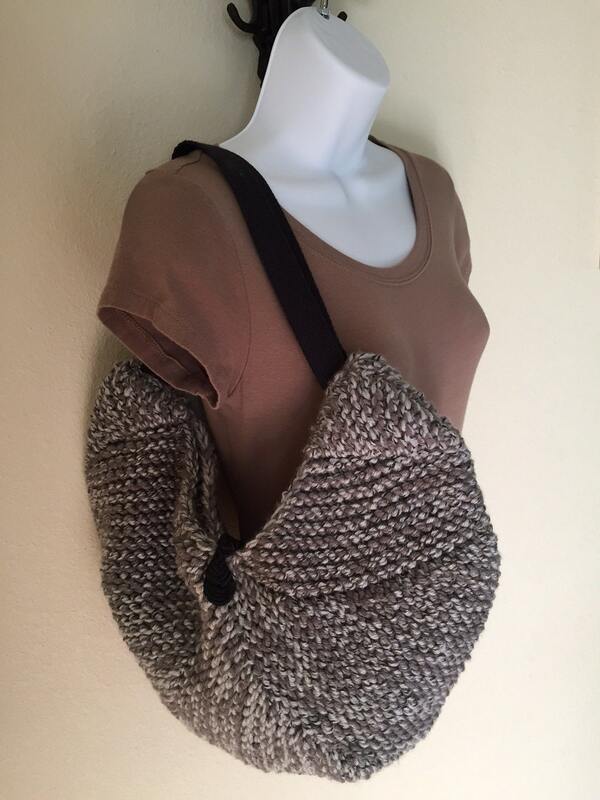 The Pebblebrook Bag is a fun and functional hobo style bag. It is knit holding three strands of yarn together as one. 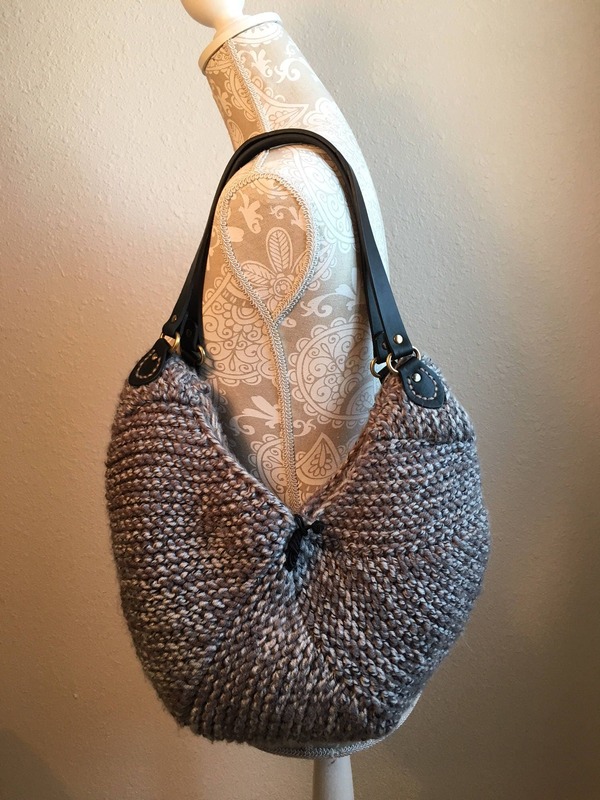 I used 2 strands from 2 skeins of Hobby Lobby’s I Love This Yarn Colors in Cappadocia and 1 strand from 1 skein of Red Heart with Love in Pewter to knit the bag pictured. The beauty of using 3 strands as 1 is that there is no need to line the bag! 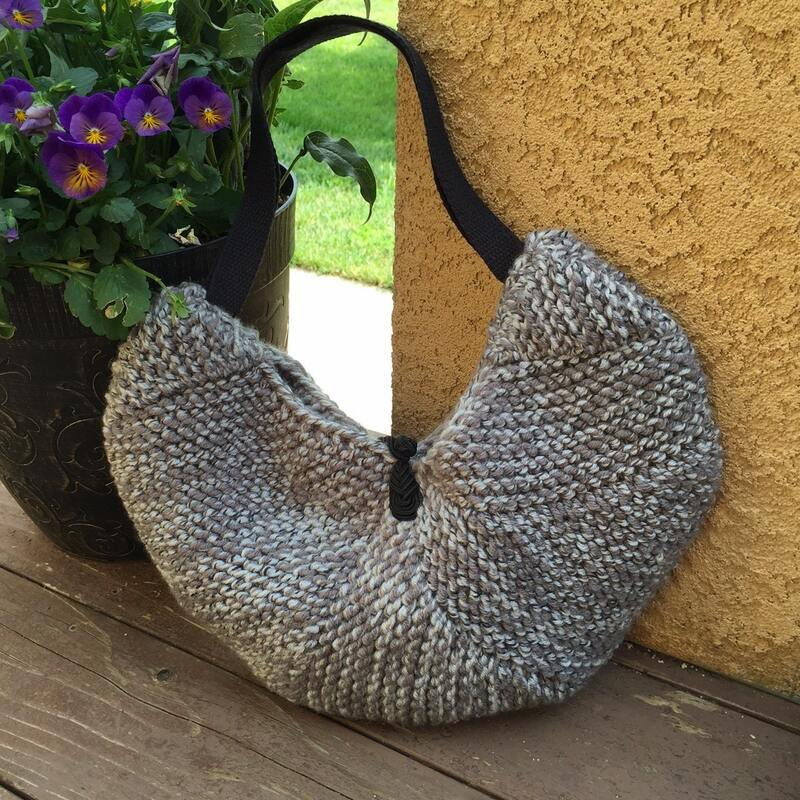 The bag is knit on a 1/2” gauge loom with a minimum of 24 pegs. 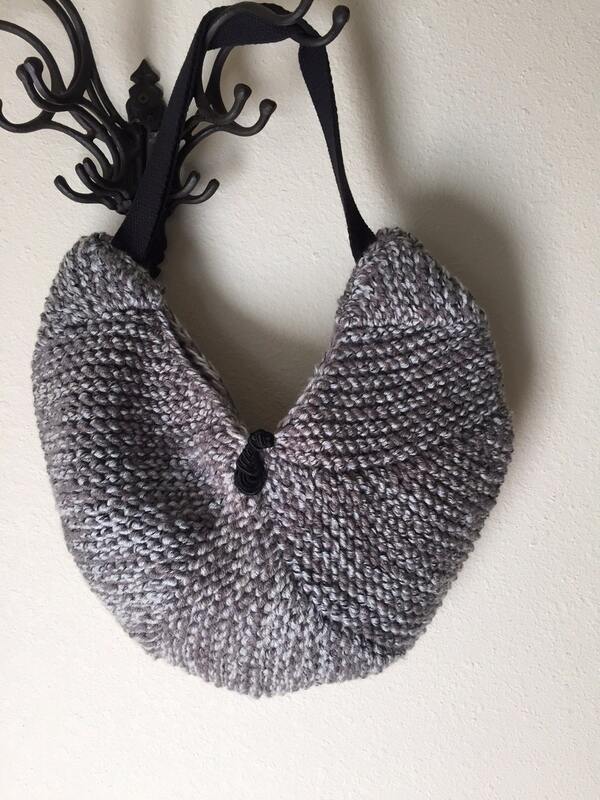 Because of the short row shaping and assembly, this pattern is suitable for an intermediate loom knitter. 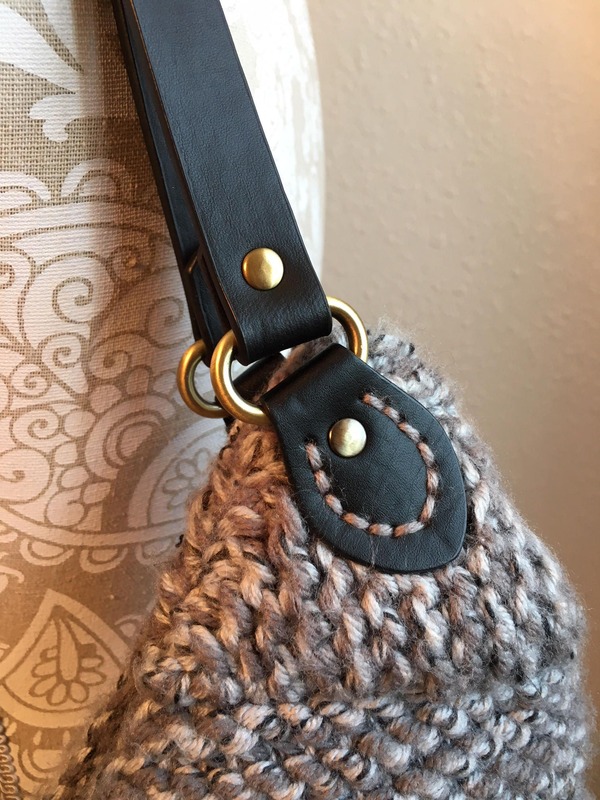 The pattern includes a picture tutorial as well.